USB 2.0 Type A Female to USB 2.0 Female Coupler Connector Extension Adapter NEW! 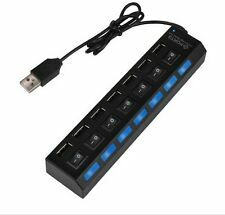 Expand your computers connectivity with this 7-port USB hub with ON / OFF switch. 7 USB ports with individual on/off switch and LED power indicator. Note: For fast charging of devices, use an AC/power cord (not included) to power the 7-port hub. 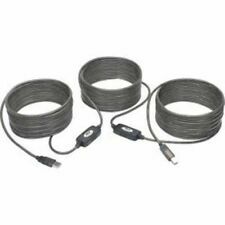 The 1M (3FT) USB 2.0 extension cable gives you enough length and hence more flexibility to put your USB devices. 1M USB 2.0 Male to Female Extension Cable. Suitable for all USB devices. OEM Original Genuine Apple USB-C to USB Adapter for MacBook - MJ1M2AM/A. The USB-C to USB Adapter lets you connect iOS devices and many of your standard USB accessories to a USB-C or Thunderbolt 3 (USB-C) enabled Mac. USB Hub 2.0 High Speed 4-Port Multi HUB Splitter USB Expansion Laptop PC Notebook Computer Adapter. 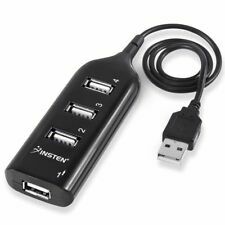 Includes 1x Superior Quality High Speed 4 Port USB Multi HUB Splitter USB Expansion Desktop PC Laptop Adapter in Black. Allows to extend your devices reach by another 25ft, with Repeater IC chip. 25FT cable. Converts a USB 2.0 port to an RJ45 Ethernet jack. USB 3.0 Gigabit Ethernet. Compatible with Windows XP/Vista/7/8/10, Mac OSX, and Linux. Drivers are generally not required for use on Windows 10/8/7, Mac OS X, and Linux. Cable Builders Premium USB 2.0 Cable, Type A Male to A Male, Length=6FT, RoHS Compliant, for USB-equipped Computers and Devices! USB is intended to help retire all legacy varieties ofserial andparallel ports. USB A Male to USB A Male Adapter Converter Extender. USB A Male to USB A Male Adapter Converter. USB 1.1 and 2.0 Compatible. It usually arrives within a week but can take longer. No Pick Up. We'll try our best to resolve your issue. USB male to RJ45 extension adapter. USB female to RJ45 extension adapter. Connector A: USB male to RJ45 plug. Connector B: USB female to RJ45 plug. USB Type A Male to Mini B 5pin Male. Nickel plated USB connections. LENTION USB-Cto USB 2.0 Adapter with RJ45 Ethernet LAN for MacBook 12 MacBook Air/Pro 13/15 2018 2017 2016. 【High Speed Ethernet RJ45 LAN】 --- Connect your computer to super-fast Ethernet network, providing a RJ45 connector that supports 10/100 BASE-T performance. USB A Female to USB A Female Adapter Converter Extender. USB A Female to USB A Female Adapter Converter. 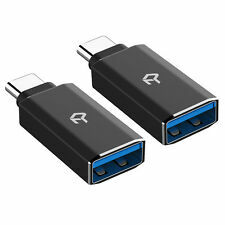 USB 1.1 and 2.0 Compatible. It usually arrives within a week but can take longer. No Pick Up. Interface USB 2.0. 1 X USB 2.0 HUB. Material ABS. Type Hub/Splitter Box. Brother Fax: 560. Brother MFC: 250C, 255CW, 290C, 295CN, 490CW, 495CW, 660mc, 790CW, 795CW, 970mc, 990cw, 1260, 1270, 1770, 1780, 1870, 2500, 3100c, 3360c, 5100c, 5490CN, 5890CN, 6490CW, 6890CDW, 7000, 7000fc, 7150c, 7160c, 7200c, 7200fc, 7300c, 7340, 7345N, 7400c, 7440N, 7820N, 7840W, 8300, 8460N, 8480DN, 8600, 8640D, 8660DN, 8670DN, 8680DN, 8700, 8820d, 8820dn, 8840d, 8840dn, 8860DN, 8870DW, 8890DW, 9000, 9010CN, 9100, 9100c, 9120CN, 9200c, 9320CW, 9440CN, 9450CDN, 9600, 9650, 9750, 9840CDW, 9850, 9870. ☑ This is a must have accessory if your having any kind of buffering or streaming problems. ☑ Reduce Buffering, lagging and most internet streaming problems. ☑ This is a LAN Ethernet adapter for connecting your 2nd Generation AMAZON Fire Stick. Easily connect and transfer data between networks with this USB female to RJ45 male Ethernet adapter. 2 x RJ-45 Male to USB Female Adapter. USB-to-Ethernet adapter. Length: 5.1cm/2" (approx.). Color：Black. Length : 3ft. 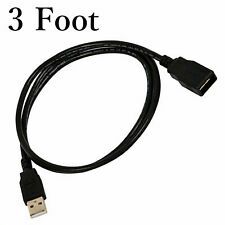 This is a Standard USB A Male To Male A Cable. 1 x USB Type A Male to Type A male Cable. Connectors: Left and Right: 4-pin USB 2.0 Type A – male. 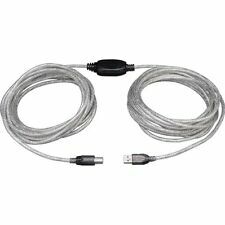 This cable easily connect printer, scanner or any other USB device to your computer. 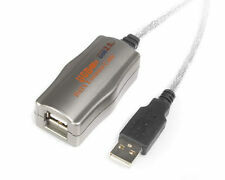 USB A Female to USB Type B Male Adapter Converter Extender. It usually arrives within a week but can take longer. We'll try our best to resolve your issue. No Pick Up. Item must be in original condition. 【Incredible Durability】: Designed and built with durable PVC outer layer, the Syncwire USB printer cable can withstand at least 3,000 cycles of 90-degree bend tests and hold up to 5kg. 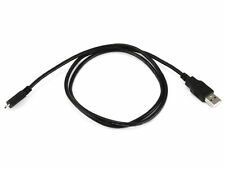 Syncwire printer USB cable is widely used to connect external hard drives, printers, scanners, digital-photographic devices and other devices with ease. 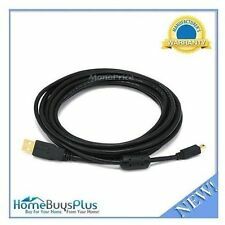 Extend your USB 2.0 connection with this USB 2.0 A Male to A Female Extension cable from Monoprice!. 4-Port High Speed USB 2.0 Splitter, Unpowered USB Hub. 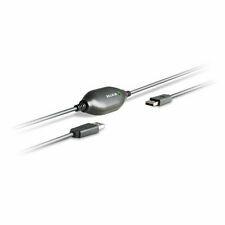 Perfect for connecting USB 1.1 or 2.0 peripherals such as USB mice, USB Portable Hard Drives, USB CD-R/RW or DVD-ROM drives and USB 1.1 hubs. 4 Port USB Hub.